This entry was posted in Uncategorized on September 19, 2014 by Gary. Do you think it will dip below the half cycle low? Are you still playing oil here? I would love to hear your thoughts on it. We gave it another shot, but got stopped out at break even. For a tweezer bottom and strong follow through day, which also broke the cycle down trend line (powerful bottoming pattern) to get reversed immediately I think it’s pretty clear at this point that Washington is going to keep oil suppressed ahead of the elections. So I won’t trade oil until after that. Gary, the market put in a Hindenberg Omen yesterday. 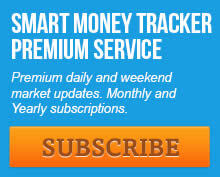 These are a combination of technical data points, that tend to mark market peaks. The idea however is that you need a confirming H.O, meaning another one within the next 30 days to validate it. Then if you get a second H.O in the required time frame, you are officially on “crash watch” and that lasts for about 4 months. I am looking for 20% haircut in the next 4 months. 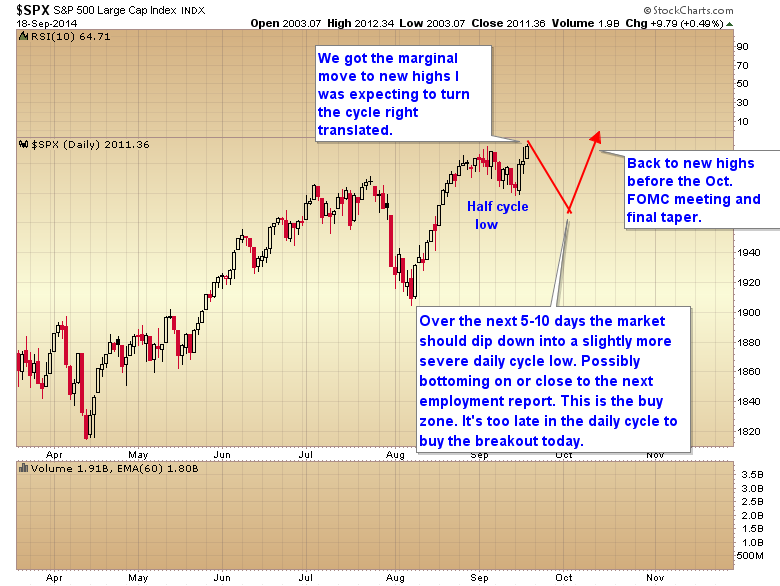 I think it’s more likely that the market forms a megaphone topping pattern over the next 4-6 months. But like you said we need confirmation, and multiple omens, not just two, are much more reliable. Can you comment on Friday’s huge volume and huge BOW? Options expiration explains the volume. I didn’t see any BoW numbers during the day so I assume it was another one of those fake numbers that are manufactured after the close. Some one can correct me if I’m wrong as I wasn’t able to monitor the numbers during the last two hours. Friday was ex-dividend for SPY so that is the reason for huge volume and BoW. Also that little thing, what was it? Oh.. BABA ipo.